Hiya! Today we're introducing my personal favorite of this release. Really caught me by surprise how much I loved these as I was able to make my Little Agenda animals even cuter by placing them in the frames! We've designed a variety of shapes and designs of frames, which look so good when placed together as a collage. Masking is SO easy with these frames! The frames as visual accents looks super cool too! These are super cute! 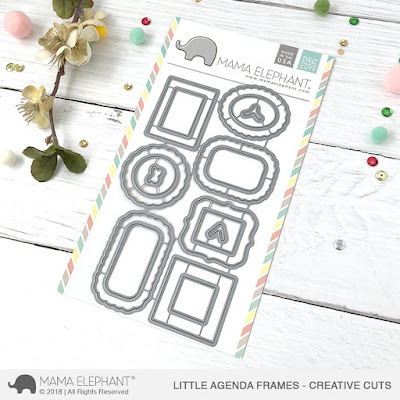 They're perfect for all the little agenda critters! Oh, these are awesome! They're so cute and versatile—I'm going to have to get the set. A must have for sure!!!! These frames are awesome! Wonderful creations! I'm in love with these stamps...and I love the monkeys!!! These frames are just gorgeous on these lovely cards . 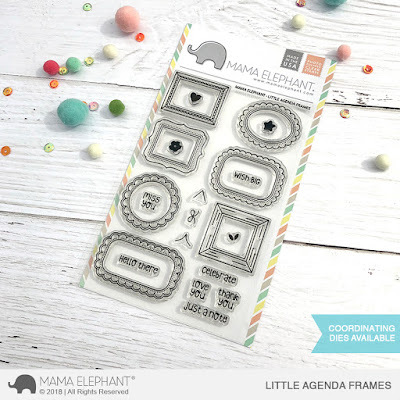 These frames are adorable, and perfect for your little creatures collection!! Love, love, love these sweet frames!! Now I am really going to have to get some of the little agenda creatures!! Ooooo!! I love these cute little frames!!! Oh these frames are perfect. There's been times I've needed one and had to pass. Brilliant idea for die and stamp. The cards are so cute. those frames are so great !